Want to know a really cool place to find your dude some unique holiday gifts? Check out featured Man Week Sponsor, Uncommon Goods! They've got gear, they've got gadgets, they've got accessories... they've got it all. They have some of the best gifts for men including the sometimes hard to shop for gifts for dad! 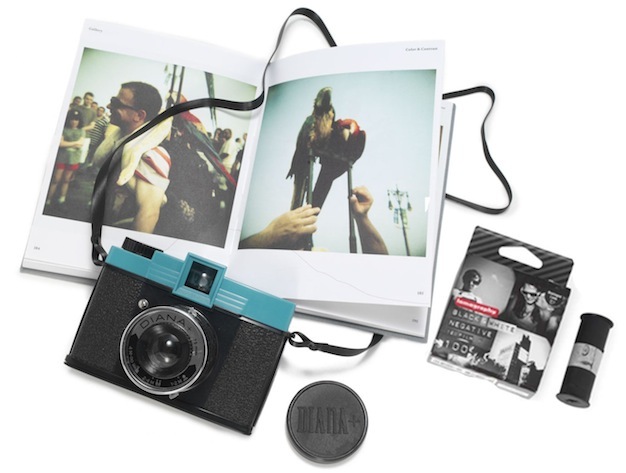 Doug & David were excited to get their hands on this Diana camera c/o UnCommon Goods. Taking non-digital pictures has become so foreign that it feels like a magical surprise every time you pull the trigger. Especially with the way this camera works -- you never know what you are going to get! Visit Uncommon Goods & come tell me what you might like to put under the tree for your man! I would totally get my boyfriend the Face Mug where you can put the cookies in!! He would love it! I LOVE Uncommon Goods! Probably 80% of our christmas presents were from there last year! Would love to get him the whisky chilling stones! He's been eyeing them since last year! I follow you, of course! And I like UG on Fb too! I signed up for the email list!! I voted on some of their products - a really neat idea, by the way! I follow @blairita on twitter! I 'like" W&P on Facebook! I 'like" Uncommon Goods on Facebook! Love the double your money clip but might have to get my husband the ninja umbrella. He'd have a little too much fun with that! 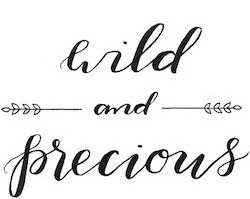 Love following Wild & Precious! I'm a W&P follower. I'd love to get my honey the bicycle tumblers! I voted! So many clever things! my brother-in-law would love this (the alaska version). signed up for their email list. Already a follower of Wild & Precious. Already your follower on twitter. Alreadz liking Wild & Precious on facebook. another amazing giveaway! i love the tree ring coasters. I like UG on facebook too. I'm an old faithful follower of W and P!! I signed up for their email list!! I'm a W and P fan on FB!!! I liked/fanned (word?) Uncommon Goods on FB!! 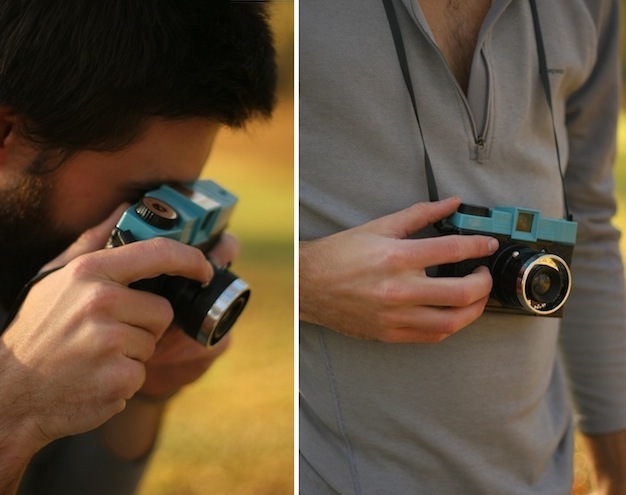 i want to put this camera under the tree. I follow you on twitter already! I already get UG's emails! I'd go for the guitar pick punch! I'd love to get him a variety cheese tools and one of their awesome cutting boards. whiskey stones are really cool! Voted on a product on their website! I think my sweet man would love the little mushroom growing kit! The personalized fingerprint cufflinks are pretty awesome too! I have liked uncommon goods on Facebook! the dog blueprints! he has such a soft spot for dogs. I would totally get the gold grilling set for my dad! I'm a follower of W&P! And I like W&P on facebook! Love this! I'd love to also get the Scratch Map for my man. I'm signed up for the Uncommon email list. I voted on a product! I like Uncommon Goods on Facebook. that is AWESOME!! joel would absolutely love it. i also love the "nerdy watch". joel has mentioned that he'd like a watch since he's a professional now & i think he'd dig that one. My husband would like the whiskey stones (although I think we'd have to call them bourbon stones--this is Kentucky! ).